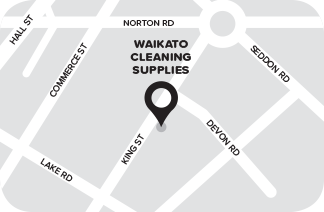 1.1 The term "Company" refers to WAIKATO CLEANING SUPPLIES LIMITED. The provisions of this contract shall be given a large and liberal interpretation in favour of the Company. 1.2 The term "Customer" includes the Customer named in the invoice/statement and the Customer's executors, administrators, successors and assigns. 1.3 The terms "Company" and "Customer" also refer to any person, firm, company or corporate entity associated with either party. 1.4 The term "goods" refers to the goods, products, materials or substances to be supplied by the Company to the Customer and includes services relating to such supply wherever appropriate. 1.5 The headings are used as a matter of convenience only and shall not affect the interpretation of each clause. (b) References to any one gender shall be deemed to include references to the other gender. Unless otherwise stated herein any quotation for the supply of goods and/or services by the Company may be withdrawn at any time. If not withdrawn it remains open for acceptance for a maximum period of 30 days from the date of quotation and thereafter shall be deemed to be withdrawn. The contract for sale and purchase of the goods shall arise upon acceptance by the Customer of the quotation or upon the Company's acceptance of the Customer's order whichever is the earlier. 3.1 Any quotation is based upon rates and conditions ruling at the date of the quotation unless otherwise specified. Any variation in exchange rates, costs of labour, transport, freight, insurance. duty, goods and services tax and other taxes or levies between the date of quotation and the date of delivery shall be for the Customer's account and shall be added to and form part of the contract price. 3.2 All prices are to be "plus GST". The Customer shall pay goods and services tax at the applicable rate in addition to all sums specified. 3.3.1 Where the price contained in the quotation includes the cost of delivery to the premises specified by the Customer in the quotation, the quotation is upon the basis that reasonable access to the premises is available and that the goods are offloaded at the Customer"s risk with the Customer's labour. The Company's driver may assist with unloading only. If such access and labour are not available an extra charge for handling will be added to the contract price. 3.3.2 Where the price contained in the quotation does not include the cost of delivery, but the Customer requires the goods to be delivered. the Company shall be entitled to add to the contract price a fair and reasonable delivery charge. Risk in the goods shall in such circumstances be with the Customer from the time the goods are removed from the Company's premises. 4.2 If any monies due are not paid promptly on the payment date the Customer shall pay to the Company interest on such payments at the current Bank of New Zealand commercial overdraft rate plus 5% per annum thereof computed from the payment date until the date when such payment together with all interest outstanding is paid in full. 4.3 If the Company shall at any time deem the credit of the Customer to be unsatisfactory it may require security for payment. and the Company may withhold delivery of any further goods ordered, or the provision of any services, until provision of sufficient security is provided or the outstanding monies are paid In full. 4.4 If the Customer shall commit any act of bankruptcy or being a company do any act which would render it liable to be liquidated or have a receiver appointed over its property, the Company may at its option suspend or terminate the contract. and the value of goods supplied by the Company to the Customer shall immediately fall due and payable. 4.5 If the Customer defaults in any payment here under the Customer shall in addition to the purchase price and any default interest due pay the full costs (which shall include solicitor and own client costs) incurred by the Company in collecting such payments and remedying the Customer's default. 4.6 The Customer shall not be entitled to withhold any payment or to make any deduction therefrom for any reason whatsoever. 4.7 All payments by the Customer shall be appropriated first in reduction of interest and costs and thereafter in reduction of the contract price. 5.1 Delivery of goods shall be made to the place indicated on the quotation and if no place shall be indicated on the quotation delivery shall be made by the Customer uplifting the goods from the Company's premises. 5.2 If the Customer fails or refuses to take or accept delivery then the goods shall be deemed to be delivered when the Company was willing to deliver them. 5.3 The Company reserves the right to deliver the goods by instalment and each instalment shall be deemed to be a separate contract subject to the same conditions as the main contract. 5.4 All costs associated with the delivery shall be paid by the Customer and In the event of delivery taking place other than at the Company's premises then the mode and method of delivery shall be the Company's usual procedure. 5.5 Should the Company fail to deliver or make defective delivery of one or more instalments this shall not entitle the Customer to repudiate the main contract. 5.6 If any time for delivery shall be stated in the quotation such time shall be approximate only and shall not be deemed to be the essence of the contract. 5.7 The Company shall not be liable for failure to deliver or for any delay in delivery occasioned by any cause beyond the Company's control. d) indemnify the Company against any loss or damage incurred by the Company, of any nature whatsoever as a direct or indirect consequence of the Company having to store and resell the goods. 6.1 Risk in the goods shall pass to the Customer on delivery of the goods as defined in clause 5 hereof, or where the Customer has failed to take delivery of the goods, when the Company was able to make delivery of the goods. 6.1.1 Notwithstanding the passing of risk. property and ownership in the goods shall only pass from the Company to the Customer upon full payment of the price owing by the Customer to the Company and any default interest due. Receipt by the Company of any cheque, bill of exchange or promissory note shall not be deemed to be payment until met or honoured. 6.1.2 Should the goods become constituents of or be converted into other products, or be incorporated in or used as materials for other goods, while subject to the Company's ownership pursuant to this clause, the Company shall have and retain title and property in and to such other products or such other goods as if they were the goods delivered by the Company to the Customer pursuant to this agreement, and the provisions of this clause shall thereupon apply to such other goods or such other products. 6.2.3 The Customer is required to store the goods either as raw materials or as part of products of manufacture in a manner and in a place that enables the Company to easily identify the goods. 6.2.4 By acceptance of this clause the Customer gives the Company, its agents and servants leave and licence, without the necessity of notice, to enter (by force if necessary) on or into any premises where the goods are or may be located and remove the goods without being liable to the Customer or anyone claiming through the Customer. 6.3 Where the Customer s goods or other property are being transported or stored by the Company (and whether they are being worked on by the Company or not), they are done so at the Customers sole risk. The Customer shall ensure that such goods are insured against any damage or loss during any such period, and agrees to indemnify the Company against any damage or loss it may incur of any nature whatsoever as a direct or indirect consequence of the Company transporting and or storing the goods or property. d) That it waives the requirement that it be provided with verification statements recording registration or any variation of registration. 8.1 Save for those guarantees which may apply pursuant to the provisions of the Consumer Guarantees Act 1993, any and all other conditions, warranties, descriptions, representations, and agreements whether expressed or implied by law, trade custom or otherwise are hereby expressly excluded. 8.2 No agent or representative of the Company is authorised to make any representations, statements, conditions or agreements not expressly confirmed by the Company in writing and the Company is in no way bound by any such unauthorised statement nor shall any such statements be or be capable of being taken to form part of the contract with the Company or be collateral to this contract. 9.1 Any addition or variation to these terms and conditions of sale shall be in writing signed by both parties and if not so in writing any such additional variation shall at the Company's option be unenforceable against it. 10.1 Where the Customer acquires, or holds itself out as acquiring, goods or services from the Company for the purposes of a business, the Consumer Guarantees Act 1993 shall have no application to any part of the contract whatsoever, and the following provisions shall apply in relation to the Company's liability under the contract. 10.2.1 The liability of the Company whether in contract or in tort or otherwise for any loss or damage shall be limited to the replacement or repair of such defective or non-complying goods provided by the Company, or, where the contract consists only of services, liability shall be limited to the amount charged by the Company to the Customer for the provision of such services. 10.2.2 The Company shall have no liability where the Company is of the opinion that any damage has been caused by carelessness, improper treatment or operation, inadequate lubrication or lack of proper and regular maintenance. 10.2.3 The Company shall not be liable for any consequential, indirect or special damage or loss of any kind. 10.3 No claim by the Customer either for damages or for repudiation of the contract or otherwise shall be effective or enforceable unless made in writing and received by the Company within 14 days after delivery of the goods to the Customer or 3 months after completion of the installation thereof where the contract includes installation, or 3 months after the completion of any services, where the contract does not include the provision of goods (which period the Customer considers to be more than a reasonable time for the purposes of the contract). The Customer shall not be entitled to withhold any payment or to make any deduction therefrom for any reason whatsoever. 10.4 The Company shall not be liable for any loss or delay or non-performance due directly or indirectly to circumstances beyond its control including but not limited to strikes, disputes with subcontractors and/or employees, accidents, civil commotion, epidemics, floods, bad weather, delays in transportation, shortage of labour and/or materials, acts of God, demands or requirements of any government body or territorial authority or similar body. During any such time, the obligations of the Company shall be suspended. All reports, correspondence, drawings, plans, computations, specifications and other similar information and materials prepared or made by the Company for any purpose in connection with this contract or any quotation shall remain the property of the Company and be confidential between the Company and the Customer and shall not be disclosed, copied or used without the Company's prior written consent. All copyright in respect to same belongs to the Company. All the original rights, powers, exemptions and remedies of the Company shall remain in full force notwithstanding any neglect, forbearance or delay in the enforcement thereof. The Company shall not be deemed to have waived any condition unless such waiver shall be in writing under the signature of a Director or authorised officer of the Company and any such waiver, unless the contrary shall be expressly stated, shall apply to operate only in the particular transaction or matter in respect of which it was given. Every notice to be given under the terms of this contract shall be sufficiently given if delivered personally to the recipient of such notice at his last known office address or sent by registered post or by fax to the recipient at its last known address or registered office. 14.1 Where the Customer comprises more than one person carrying on business in partnership, each and every individual partner is and shall be jointly and severally liable to the Company in respect of all or any indebtedness or liability of the Customer arising out of the contract. 14.2 Where the Customer is a limited liability company or other corporation. each of the officers thereof shall, upon demand. and in writing, interpose and bind themselves as sureties and co-principal debtors with the Customer, jointly and severally. for the due and punctual payment of all monies and the performance of all obligations of the Customer arising out of the contract. The Customer acknowledges that the above terms and conditions of sale and supply shall apply to all contracts and transactions between the Company and the Customer. (iii) ascertaining at any time the Customer s creditworthiness and obtaining at any time credit reports, character references or credit statements. (v) enabling the Company to communicate with the Customer for any purpose. Company. The Customer authorises any such person to release to the Company any personal information that that person holds concerning the Customer. For the purposes of the preceding clauses the terms the Company includes any financier or discountor of the Company s contract, or any related company of the Company. The term related company has the meaning given it by the Companies Act 1993 or replacement legislation. g. breach by the Customer of any other terms contained in these terms of trade. First: In payment of all costs. charges, payments and expenses incurred or payable by the Company in respect of the Customer s default and in respect of the repossession and resale of the goods. Secondly: In payment of penalty interest payable under these terms of trade. Thirdly: In payment of all monies owed by the Customer to the Company for goods and/or services provided by the Company to the Customer. Fourthly: Any surplus funds then available shall be refunded to the Customer. 18.1 All contracts and disputes between the Company and the Customer shall be governed by and must be construed in accordance with the laws of New Zealand. (b) waives any right to object to proceedings being brought in those courts for any reason. Be the first to hear the latest news and special offers by signing up to our newsletter.